When a marriage has ended and there is no reconciliation in sight, choosing what to do next is detrimental to both parties involved. Sometimes a divorce can be pulled off without much fanfare and fuss. But others still can have very catastrophic results. It’s time to know when a divorce lawyer is needed. How do you know when the time is right? The answer to that is a loaded question. Even if a divorce seems to be going off without a hitch, stress and emotions can get in the way and sometimes this leads to fighting and disaster. You should always seek legal counsel when going through any legal proceedings in your life. Hiring a lawyer as soon as you and your spouse have agreed to part ways is naturally the smartest route to take. The main reason for this is you need to take the time to find the right one. It is all about the lawyer you hire, so it’s critically important that you find the right one without the pressures of a timeline. If you want a lawyer’s help and guidance but you still want to keep your divorce civil, make sure you find a lawyer who will support that tactic. Ask your potential lawyer if they are comfortable taking the approach of negotiating a settlement rather than fighting it out in court. 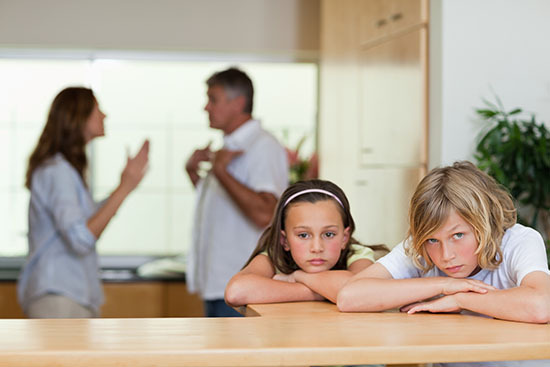 If you want an amicable divorce, then that is what you should expect to get from your lawyer. What if an amicable resolve of your marriage isn’t in the cards? What if you left because of infidelity or abuse and reaching an honest, fair conclusion doesn’t seem feasible? More than ever, that is when you want to find a lawyer and find one who will fight hard to make sure your needs are met in the end. It makes plain sense to hire a lawyer if there is a threat in the relationship, a problem with abuse (spousal, child, sexual or substance abuse). In these situations, it is impossible for you to negotiate effectively. A lawyer can help arrange for necessary protection in addition to fighting for your rights during the divorce. It also makes sense to hire a lawyer if your spouse is being dishonest or vindictive and you just don’t know how to handle it. You need someone to protect your interests. It is also important to hire a lawyer if your spouse also has an attorney. It is especially important if there are children involved or financial issues that become complicated. While it can be difficult dealing with these issues from an emotional standpoint on your own, it will be extremely difficult going against a lawyer without your own lawyer. They aren’t emotional parties in the case and will fight for your rights and benefits. When trying to find the right Northeast Philadelphia lawyer for yourself, consider Martins Mill Legal Center. Leo Flynn and his staff have been handling cases of divorce for many years and are experts in their field. They will sit with you to understand exactly what kind of situation you are in and how it should best be handled. Trust the team at Martins Mill Legal Center.